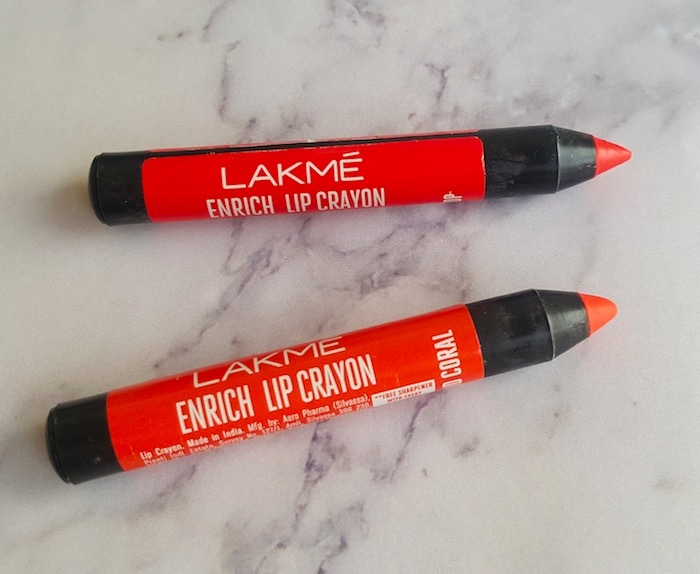 Hey everyone, today I’m reviewing the Lakme Enrich Lip Crayon in the shades Candid Coral and Red Stop. 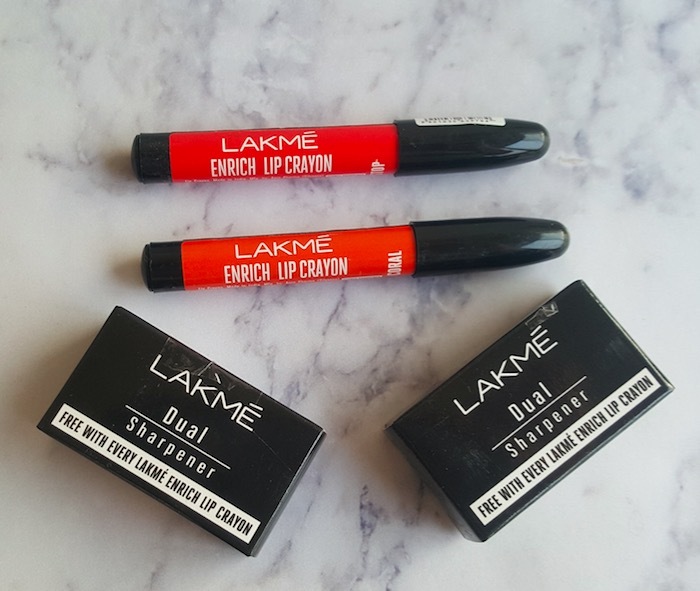 Lakme beauty brand has recently launched the Enrich Lip Crayon range in the market. This new collection includes 10 beautiful shades of pinks, reds, corals and mauve. I picked up just 2 shades to get an idea about the quality of this range and I must say I’m quite impressed with them. Additionally, each lip crayon comes with a free dual sharpener. 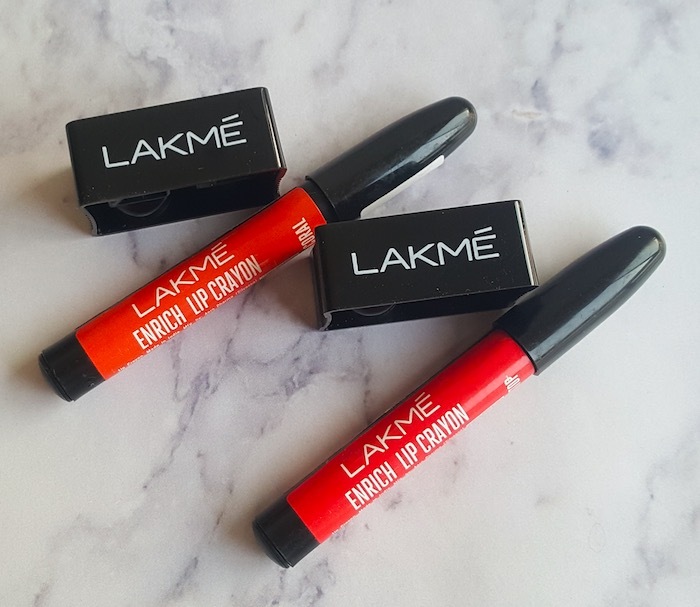 Price & Availability: The price of the Lakme Enrich Lip Crayon is Rs.185 for 2.2g. These can be easily bought from local beauty stores and also online from either Nykaa.com or Amazon.in. Shades Available: Berry Red, Baby Pink, Peach Magnet, Cinnamon Brown, Pink Burst, Mauve Magic, Red Stop, Blushing Pink, Candid Coral and Shocking Pink. 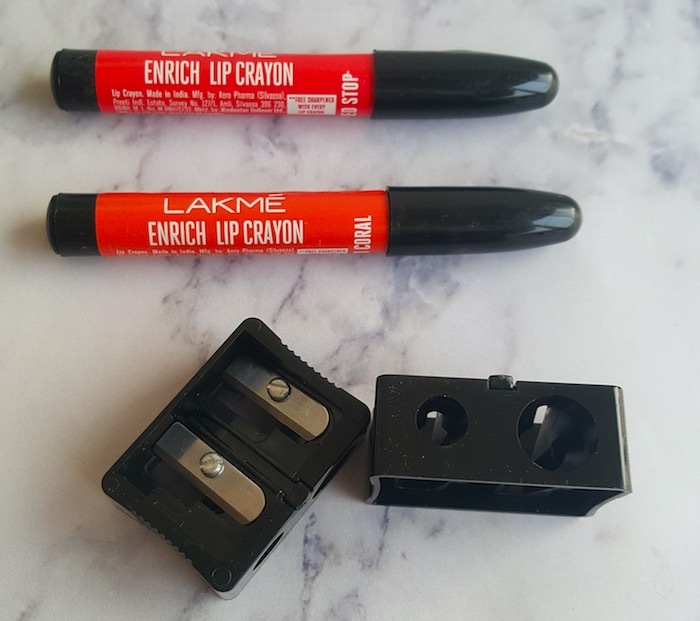 Packaging: Lakme Enrich Lip Crayon comes in a black wooden body and a plastic cap. The color coded paper is labeled on the each crayon with name and number of the shade mentioned on it. The packaging is very compact, lightweight and it can easily fit inside a wallet or purse. My Experience: I bought two shades Candid coral which is pretty summery orange color and Red Stop which is beautiful reddish coral color. 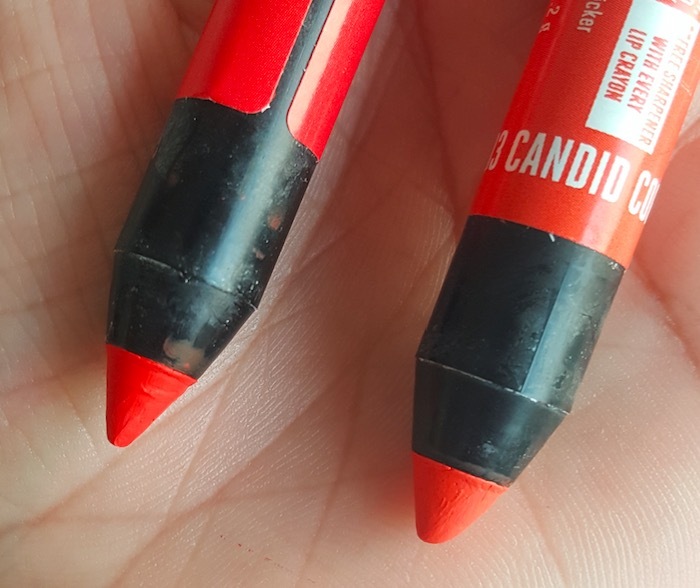 Both the lip crayons glide smoothly on the lips without tugging. 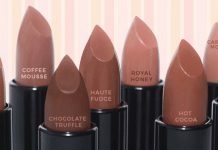 The pigmentation is also pretty good and they impart nice color on the lips with just 2 strokes. 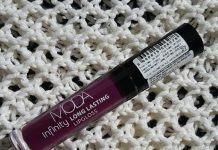 They come with non-drying formula and feel very comfortable on my lips. Both the colors stay on my lips for 3-4 hours and then I need to reapply them. 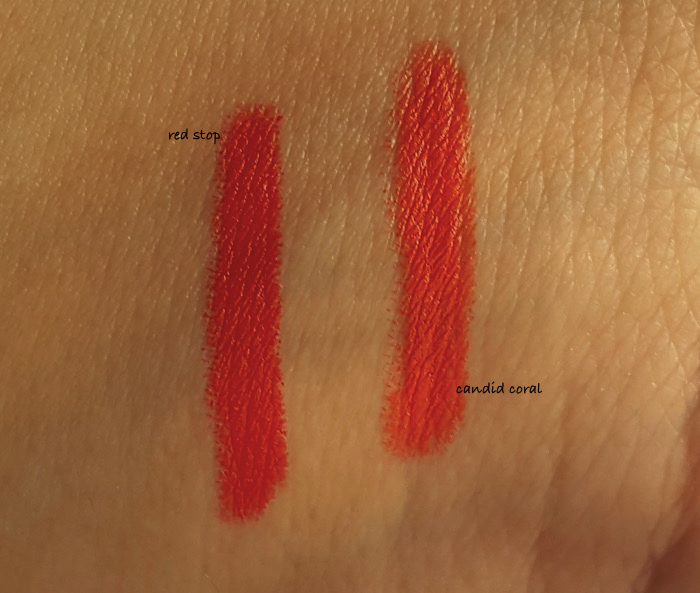 Among both the shades, I liked the Red Stop more as it flatters my fair complexion really well. The packaging is compact, sturdy and travel-friendly. 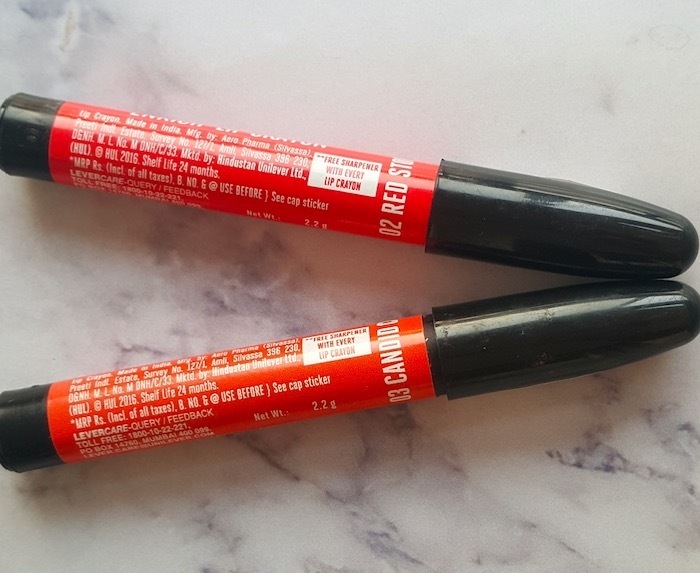 Despite their slightly waxy formula, these lip crayons feel very comfortable on the lips. Staying time is about 3-4 hours. Available in 10 beautiful shades. 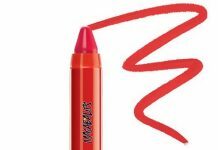 You will get a dual sharpener free along with these lip crayons. The lip crayon’s tip gets blunt easily and you need to sharpen it after every use which leads to product wastage. It does settle in fine lines and also accentuates dry patches. So make sure to exfoliate and moisturize lips nicely before applying the lip crayon. 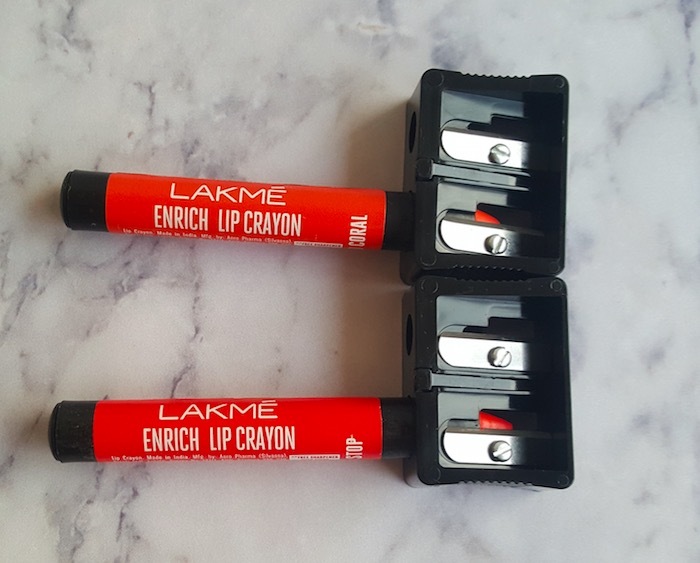 Overall, Lakme Enrich Lip Crayons are affordable, come in 10 fresh shades and perform really well. I really liked the Red Stop shade and am planning to try a few more shades very soon. Highly recommended!